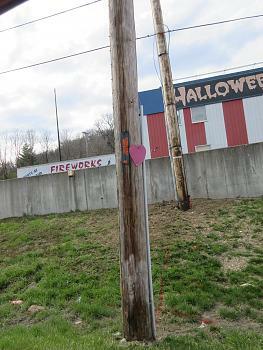 When I first saw the pink hearts on telephone poles around Lawrenceburg in February, I thought they were a promotion for a Valentine’s Day event. 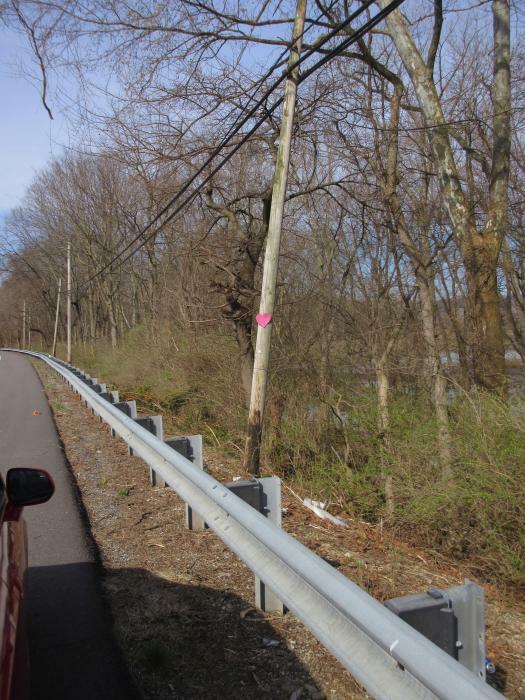 I also saw the two “Back Home” signs that were placed on US 50 at Valley Junction Road in Hooven and going up State Route 48 in Lawrenceburg. Those initial hearts were taken down, but the signs remained. Now there are more, all of them on US 50 westbound between Hooven and Greendale. I’ve seen four of them, but there may be more both east and west that I haven’t seen. The “Back Home” signs aren’t cardboard like a garage sale sign would be. They are canvas stretched on a large wooden frame. 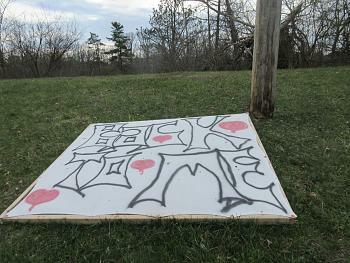 The sign in Hooven had its canvas removed this week but the frame is still there. I wondered if the hearts were a treasure hunt of some kind. I also wondered if they were memorials for people who had died in car crashes on 50, but the hearts don’t always align with where the accidents were. Here are the four current signs and their locations, plus the remaining “Back Home” sign. Heart #1 is at Hooven Road in Hooven. 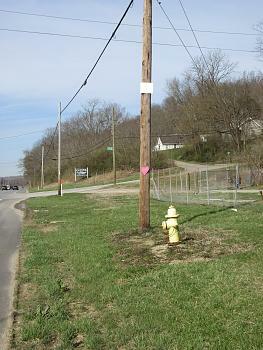 Heart #2 is just before the Whitewater River. 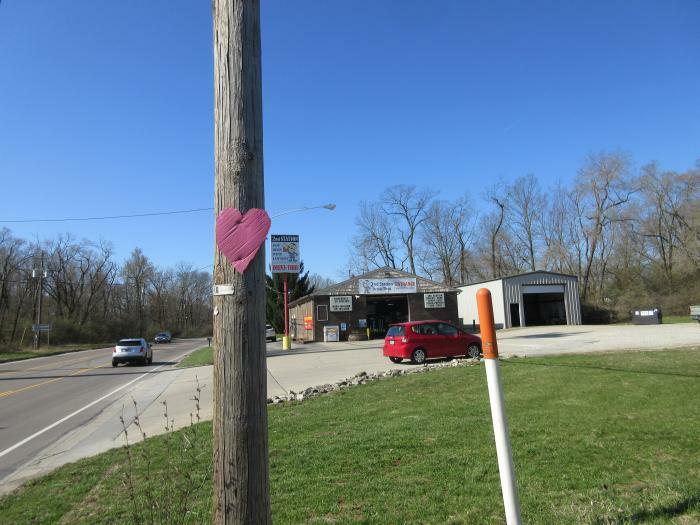 Heart #3 is at Lawrenceburg Road in Elizabethtown. Heart #4 is at Belleview Drive in Greendale.